In case you needed yet another reason to change the default username and password on your wired or wireless Internet router: Phishers are sending out links that, when clicked, quietly alter the settings on vulnerable routers to harvest online banking credentials and other sensitive data from victims. Sunnyvale, Calif. based security firm Proofpoint said it recently detected a four-week spam campaign sent to a small number of organizations and targeting primarily Brazilian Internet users. The emails were made to look like they were sent by Brazil’s largest Internet service provider, alerting recipients about an unpaid bill. In reality, the missives contained a link designed to hack that same ISP’s router equipment. According to Proofpoint, the link in the spam campaign led to a page that mimicked the telecom provider. 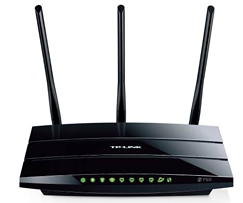 The landing page included code that silently attempted to execute what’s known as a cross-site request forgery attack on known vulnerabilities in two types of routers, UT Starcom and TP-Link. The malicious page would then invoke hidden inline frames (also known as “iframes”) that try to log in to the administration page of the victim’s router using a list of known default credentials built into these devices. If successful, the attacker’s script would modify the domain name system (DNS) settings on the victim’s router, adding the attacker’s own DNS server as the primary server while assigning the secondary DNS server to Google’s public DNS (8.8.8.8). Such a change would allow the attackers to hijack the victim’s traffic to any Web site, redirecting it away from the legitimate site to a look-alike page designed to siphon the victim’s credentials. In the event that the attacker’s DNS server was unresponsive for any reason, the victim’s router would still function normally. The malicious script used by the spammers in this campaign tries multiple default credentials in a bid to hijack routers with factory-default settings. Image: Proofpoint.